Publisher: Geoffrey Nevine June 28, 2018 This information is provided solely as a guideline. One of the most important decisions you’ll make for your child as a parent is selecting the right person to take care of them while you’re out at work. 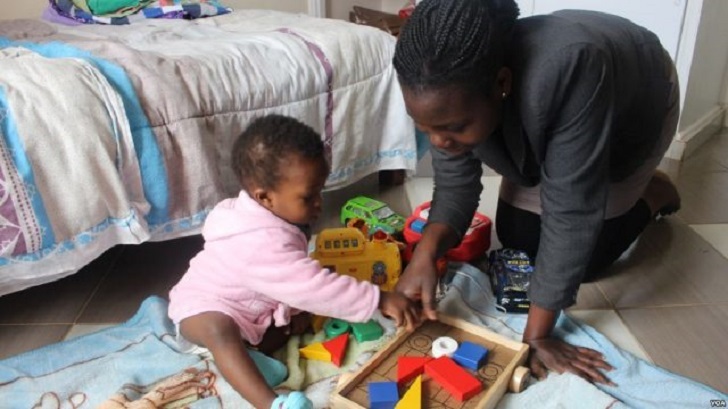 Nannies play a significant role in childcare as they take over the responsibility of ensuring the health and safety of a child while the parent is away. So, as parents, selecting the right person for the job isn’t something that is taken lightly. Above all else, a great nanny is someone who genuinely loves and cares for kids, and is committed to their overall well-being. There are so many things that are important, it’s easy to get overwhelmed with the process. Here are ten characteristics that quality caregivers share. Using this list as a guide might make the process a little less daunting. Love of children. Of course, the top characteristic of a nanny is her genuine love of kids. Education, experience and special skills matter but none of those will make a person who doesn’t truly love working with children a quality caregiver. Enjoying children and feeling honored to be a caregiver to them is the foundation that everything else is built on. Enthusiastic. Nannies work long days and often have a lot of responsibilities. For some, that can quickly squelch their excitement about the job. Others take it all in stride and let their natural enthusiasm for working with children lead them through the day. A nanny that can stay excited about coming to work day after day is one who your child will enjoy spending time with. Fun. Childhood is all about fun. Look for a nanny that truly enjoys what she does and will plan fun, well rounded days for your child. Being silly, finding the humor in everyday situations, and having an upbeat outlook on life are all key elements to look for in your next caregiver. Nurturing. The idea of nurturing a child is at the heart of a nanny’s role. Being able to connect on a deep level, build a safe, loving relationship and offer a stable environment are all important elements of nurturing your child. A nanny that is sensitive to your child’s individual needs builds an engaging day around his interests, and tailors her caregiving style to mesh with his personality and temperament is a great find. One that is committed to staying in a job long term to provide that all important continuity of care is even better. Common sense. Your nanny will make endless decisions about your child’s health, safety, and well-being throughout the day. You want a nanny who can accurately assess an emergency situation and decide the safest course of action. And one that can make good choices about simple things like what to make for lunch, how to handle a surprising mess and who to call when the sink overflows. Punctual. You rely on your nanny to arrive on time in the morning. Getting out the door when you’re supposed to help you make the early morning commitments that are critical to your job. Her punctuality is also important throughout the day as she does school drop off and pick up, attends classes with your child and manages her time to ensure she completes all the needed household tasks. Being punctual and having good time management skills will keep everything and everyone on the right track. Trustworthy. Parents have to place an enormous amount of trust in their nanny. Of course, the biggest show of trust is allowing her to care for their children. But they also trust her with their home, car, and lots of sensitive information about their family. A nanny trustworthy is an important part of the hiring decision. Knowing your caregiver is going to love and care for your child at all times and make good decisions based on his health and well-being is a must. Knowing she’s going to respect your home and property, protect your privacy and keep what she sees and hears on the job confidential is also important. Flexible. This trait can make or break a nanny’s ability to work successfully in your job. Nanny care doesn’t come with a standard 9 to 5 schedule or a job description that never changes. Built-in flexibility is often one of the main reasons parents choose nanny care over other types of care. When interviewing candidates, talk about what kind of flexibility they offer and what their comfort level is with regard to scheduling, daily responsibilities, and the household environment. Nannies that can easily adjust and adapt to change tend to be more successful in nanny positions. Communicative. The success of the nanny/family relationship depends on the ability of the parents and the nanny to clearly communicate with each other. Search for a nanny that is comfortable asking questions when she’s unsure of your expectations or directions, that regularly shares important information about your child with you, and that honestly addresses any issues within the employment relationship. Reliable. One of the drawbacks of nanny care is that you’re solely relying on one person for so many important things. Not only is your nanny your primary childcare provider, she’s also your household support person. So if you can’t count on her to show up every day on time and ready to work, you have a serious problem on your hands. References are a great source of information on a candidate’s reliability. Deciding if a nanny has what it takes to work as your nanny is an important decision. Taking the time to study her resume and get to know her as a person will help you fit all the pieces together so you can make an informed decision.